The Springerdoodle is a cross between an English Springer Spaniel and a Poodle. The English Springer Spaniel and Poodle both bring energy, intelligence, and lovability to the table. Springerdoodles are popular for being great companions, family pets, and friendly towards other furry friends and people. Before we get more acquainted with the Springer Poodle, let’s touch on the controversy over first generation mixes. As we have previously addressed, there are several objections following the crossbreeding controversy. Some complaints include pricing, a lack of education, nicknames, and the breed’s health. 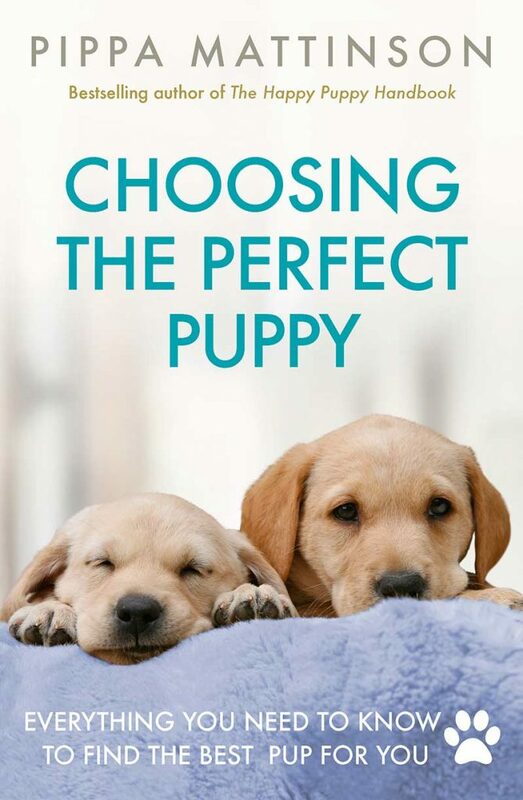 Common arguments advocating for purebred dogs include predictability of the breed’s qualities and traits and knowledge of their genetic history. However, not allowing for diversification can cause health problems. One of the health concerns lies in the biological fitness of crossbreeds. Hybrid vigor (heterosis) refers to a crossbred that tends to exhibit qualities that are better than both parents. Inbreeding depression, on the other hand, impacts reproductive traits and survival. Heterosis and inbreeding depression are both predictable and can be utilized in breeding programs with positive results (i.e. lowering risk of illnesses), if properly understood. At the end of the day, it’s important you learn everything you need to know about a specific dog before bringing them home. The Springer Spaniel Poodle mix originated in the United States. In 2009 the International Designer Canine Association began to register and recognize the Springerdoodle crossbreed. 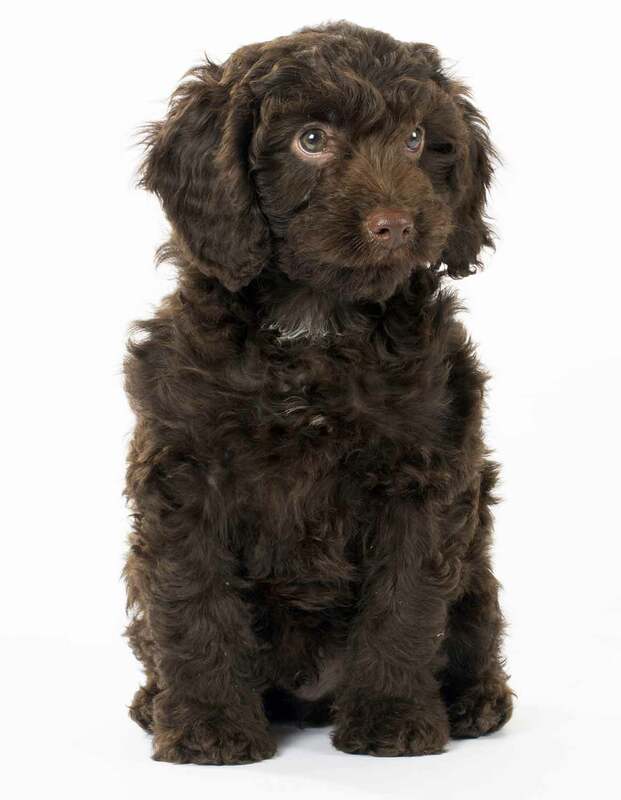 Springerdoodle breeders desired this specific designer dog to be an ideal family pet and companion. To learn more about the history of Springerdoodles, continue reading over the origins of the Springer Spaniel and Poodle. The English Springer Spaniel was first bred centuries ago in England. Described as a sporting breed, these dogs derive from years of intentional breeding of British land spaniels. The English Springer Spaniel assisted hunters by detecting game birds and driving them out from cover. These dogs point out fallen birds and retrieved them for their human counterpart. The English Kennel Club recognized the English Springer Spaniel as its own breed in 1902, with the American Kennel Club following in 1924. When the breed became popular in North America, the dogs were well known as bird dogs with powerful noses and high trainability. The Poodle’s history begins in Germany over 400 years ago. The Standard Poodle started out as a duck hunting dog. Poodles make great retrievers, thanks to their smarts, protective coats, and swimming skills. Shaving parts of the breed was common to allow for better movement. The leg joints, chest, and hips remained covered to keep them warm. After Miniature Poodles were bred from the Standard breed, the Toy Poodle was first documented in early 20th century America. These versions of the Poodle were recognized as companion dogs. An English Springer Spaniel is generally 19 to 20 inches in height. With the help of its sturdy, muscular build, the medium-sized Springer Spaniel normally weighs between 40–50 pounds. There are a few variations on a Poodle’s size depending on the Standard, Miniature, or Toy breed. Toy Poodles are usually not taller than 10 inches, while a Miniature can stand as tall as 15. Normally, Standard Poodles rest at a height taller than 15 inches. Despite the three different versions of the breed, the builds between each Poodle are similar. The weights of the three Poodles will differ as well. Miniatures will range between 10 and 15 pounds; female Standards are generally 40–50 pounds and male Standards 60–70 pounds. Expect a Springer Poodle mix size, height, and weight to range anywhere between the Springer Spaniel and Poodle. If a Standard-sized Poodle is mixed with a Springer Spaniel, however, you can likely expect a bigger-sized Springerdoodle dog. A Springerdoodle full grown tends to weigh between 35 and 45 pounds. With Toys and Miniatures in the mix you could find yourself with a mini Springerdoodle! The English Springer Spaniel is quickly identifiable by its drooping ears. The dog’s coat comes in a variety of patterns and colors, framing a proud and sturdy body. The most popular coat is white and dark reddish-brown. The Springer Spaniel’s soft and elegant facial features complement its distinctive kind eyes. Poodle coat colors come in white, black, or apricot tone on the hallmarked curly fur. Many owners properly groom the hypoallergenic coat, covering the Poodle’s athletic and graceful build. Springdoodle coats often shed lightly or not at all. 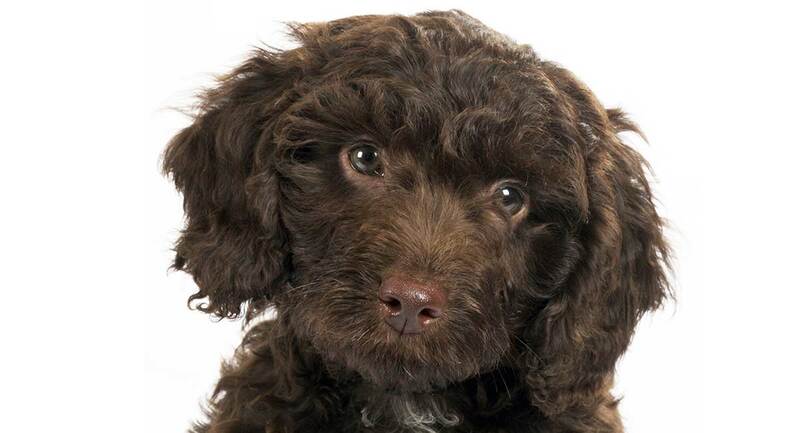 Springerdoodle puppies could exhibit characteristics from either the English Springer Spaniel or the Poodle, though. Getting to know the parents of a puppy is important to help give you an idea of how the Springer Poodle puppies could end up looking. English Springer Spaniels are very active, friendly, and also obedient. Company and companionship are very important to this breed. Poodles are also athletic, on top of being proud, eager, and companionable. Both breeds are patient towards children, especially when they are socialized at a young age. Like their coats and other defining characteristics, the temperament and behavior of Springerdoodle puppies will reflect one of the two parent’s breeds or will be a mix. While Springerdoodle breeders cannot predict specific characteristics, the Springer Poodle mix will likely exhibit the same smart, friendly, energetic eagerness expected with the Springer Spaniel and Poodle. English Springer Spaniels require occasional grooming for their wavy, long coat to avoid becoming matted. Brushing the coat regularly helps with seasonal shedding. Constant trimming is necessary for this breed’s nails. It’s important to check their ears for wax buildup. Long ears that are heavily covered in fur can cause the ear canals to become moist, resulting in ear health issues. A Poodle’s ears will require the same attention. Owners visit a vet annually for certain ear products. Or they keep the fur trimmed around the ear to help with air flow to lessen moist ear canals. Brush Poodles daily to avoid matting, or you can keep the coats trimmed short. The Springer Poodle will either exhibit the same grooming and care requirements as either parent breed or a mix of both. Expect grooming and shedding for a Springerdoodle to be a low requirement, though. If your Springer Spaniel Poodle mix inherits long ears and heavy hair, keep an eye on excess earwax. When bringing home a new puppy, it’s important to understand the possible health issues they may bring with them. It was confirmed in 1996 that English Springer Spaniels were the first American-bred dogs to be diagnosed with fucosidosis, a fatal autosomal recessive neurological disease. The breed should also be checked for phosphofructokinase deficiency, which can cause chronic anemia, an enlarged spleen, and acute hemolytic crises. In addition, these other conditions could affect a Springer Spaniel: otitis externa, progressive retinal atrophy, and retinal dysplasia. Toy and Standard Poodles can get a clotting disorder known as Factor XII deficiency, which is an inherited bleeding disorder. Standard Poodles should also be tested for Addison’s disease and granulomatous sebaceous adenitis that affects the sweat skin glands resulting in hair loss. 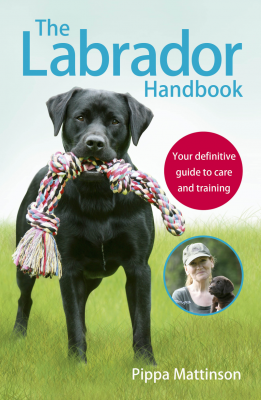 Poodle owners also must keep an eye out for orthopedic problems in Toy and Miniature breeds, as well as gastric dilatation and volvulus in Standard breeds. Both parent breeds can also experience hip dysplasia and disorders like epilepsy, which is a chronic neurological disease that is very common in dogs, according to a 2015 report. Both breeds have a genetic predisposition to epilepsy. It is essential to note that a Springerpoodle can inherit any disease present from either parent breed, making health testing especially relevant. The Springer Spaniel and Poodle are highly trainable and active breeds. They require regular exercise which can include long walks, fetching, and swimming. Keeping plenty of toys for your dog to play with when they are inside is also ideal. 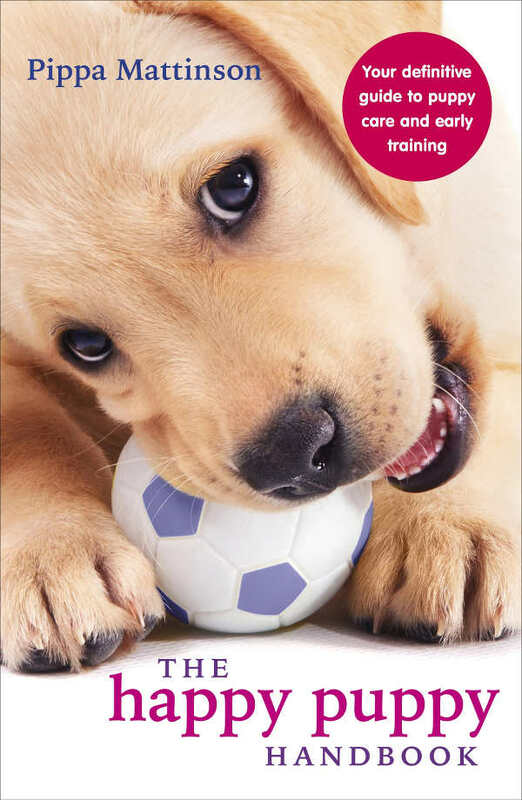 The English Springer Spaniel and Poodle are both intelligent, which makes them susceptible to training, especially if started at a young age. The English Springer Spaniel is eager to please and responds to positive reinforcement. 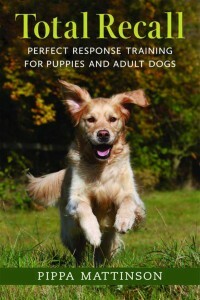 Poodles respond well to fun training routines. Both breeds do better with consistency while training. Like both parents, Springer Doodles are intelligent, active, and often require daily outdoor activity. Training is best if started at a young age to properly socialize Springerdoodle puppies. We’ve discussed that the Springer Spaniel and Poodle are both very active dogs, so the ideal home for the Springerdoodle will be one with the energy to keep up! Springer Poodles make great companions for a single owner or a family with children and other pets. The Springer Poodle mix will exhibit characteristics from one parent or a combination of both. Since Springer Spaniels specifically hate being neglected, make sure you have the time to invest in exercise and play. English Springer Spaniels get along with kids and other pets. They are loyal and enjoy family activities and pleasing their human companions. While these breeds are good family dogs, supervision is suggested when interacting with children. Poodles also make great companions. Standard Poodles specifically do well in large households and respond well to kids and people they are familiar with. Miniature Poodles, while good with children and other pets, tend to commit to one specific person. With the English Springer Spaniel and Poodle breeds both being great family dogs, you can expect your Springer Poodle to exhibit the same gentle eagerness and playfulness around pets, children, and adults. Springerdoodles love the company of their human counterparts. The Springer Spaniel Poodle mix is a popular crossbreed, so finding Springerdoodle breeders online should be relatively easy. Finding a breeder or previous owner that you trust is important. Meeting them and seeing the environments the Springerdoodles or their parents were raised in is beneficial. Recommended health tests for the English Springer Spaniel include hip, elbow, and an ophthalmologist evaluation as well as a PRA Optigen DNA test and a PFK disorder DNA test. These tests are also recommended for Poodles, in addition to knee evaluations and a skin biopsy. Springerdoodle puppies can inherit any aspect of either parent dog, which makes it essential for them to receive the same health tests. Is a Springerdoodle Right for You? Besides the Spingerdoodle’s health, before seeking out your new furry family member, make sure you have the time for play, exercise, and enough space to devote to your Springer Poodle! As with all young pups, Springerdoodle puppies should also be handled with care. Do you have a Springerdoodle? We’d love to hear about, for example, your Miniature Springerdoodle’s antics! My Springer Doodle Is Highly Intelligent. Very Easy To House Train. Our Puppy Had The Run Of The Downstairs From Day One. I Taught My Puppy Roxy To Rollover For A Treat In A Matter Of Weeks. She Developed A Chewing Problem At About Four Months She Is Now Seven Months. Paper More So Than Anything Of Value She Will Chew. She Is Getting Broke Of That By Having A Bigger Choice Of Toys.